Designed for superior performance in a variety of packaging, splicing and tabbing applications. It provides a quick positive seal under a wide range of temperature and humidity conditions. 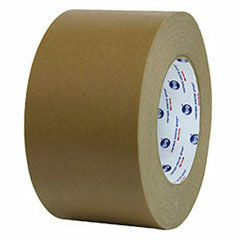 This versatile, tan colored flatback matches most corrugated cardboard for a professional, sealed look.